Work for Ungerboeck for Conferences & Events? Learning about Ungerboeck for Conferences & Events? "Outdated and too many steps"
Ungerboeck is good for keeping companies organized and see what they had done in the past. It is also good for accessing favorites on the side tab. That is about it. Ungerboeck is absolutely outdated- it takes way too many steps to get to information that I need, ex: when I want to see revenue I have been bringing in or the sales that I have made- you have to make a favorite (that I didnt even make, a colleague made it to me and sent it to me). I have to filter through so many things when I get to the favorite in order to see what I brought in. It also doesn't filter out cancelations which is a pain when I am trying to MANUALLY count up my sales. In order to see just my sales I have to export it to an excel document AND THEN delete everyone else information. I shouldnt even have to bring it out to an excel document it should just be capable of being an EASY step to just see MY SALES. Super frustrating and takes up A TON of my time. Definnitely not a "lean" tool. Also- when sending mass emails from the EMS system, it formats them HORRIBLY and even loses the hyper links. So much improvement to be made. To be honest I am not solving any problems and I haven't seen many benefits before. My last company that was a staffing agency had a much better system that was way more user friendly. "Lots to offer but can be difficult to Use. Pricey"
I like the ease of entering registrations and service orders for our exhibitors. I like having the option to copy over events from year to year. I dislike only having 13 users. I dislike the higher cost of Ungerboeck compared to other event software. I dislike the difficulty people have using portal or online payment due to having to not have capital / lower case match up. 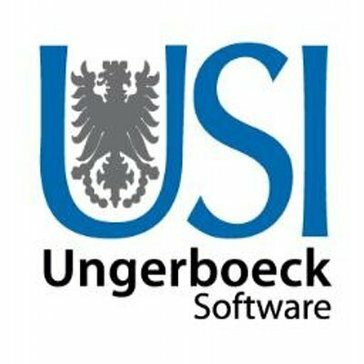 Ungerboeck is pricey and more difficult than other software but does have good qualities. 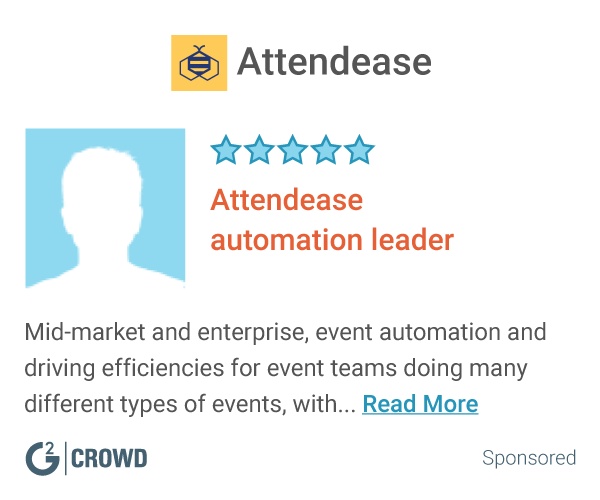 We are solving the need for participant registration and vendor / exhibitor sales and sponsorships in one platform. We have received extra training (that we had to pay for) in order to use Ungerboeck in a more productive way and to have a better understanding of everything it offers. We understand the program is not designed for sales but, it would be nice to have some features connected to our outlook calendar. I also wish we had a good pay to pull data and get rid of duplicates. This is probably more of an issue with our company. Customer communication. Event issue management. Billing and invoicing. Contracts. "Lots of issues from the customer's side"
I like the ability to view the events' general overview as a whole, but there are lots of issues with the software in terms of customer service. As someone who handles a lot of customer service, I tend to have issues with this software, ranging from the fact it works poorly on smart phones and on any server other than Google Chrome in our experience. Not the most user friendly software, especially when communicating with a client who is using the product and trying to navigate what they see versus what you are looking at. Not always a straightforward solution to certain registration problems. It handles what it needs to in terms of keeping track of registrations for our events, but it is not always the most efficient and actually can create more work for our team in the long run. When yiu need to manage events one thing comes to mind ungerboeck event management tool, it has helped is in managing events really essily, various report generation helps us to go to the minimal details. If a new user uses it, it is easy to implement and use. As of now i haven't thought of any cons, to the contrary the support is quite nice anx and responsive. "Our go to conference manager!" This software helps us organize conferences and also keep up with past events and future vents! There are a lot of extra steps that you have to take to get to what you need. Kind of like going around your elbow to get to your thumb. Some things are also a bit dated. We are still fairly new into using this so right now I'm not sure of the benefits of it. It seems a bit pricey right now and complicated. "It's a good program, but hard to work with"
I like that you can see everyone who has registered, how much they paid and other parts of the registration unit. The software can be hard to work with. It can be hard to navigate and slow at times. We use Ungerboeck for as our registration unit. It helps because we can easily track our registration numbers with it. "Powerhouse Software for Large Meeting/Convention Facilities"
Collaboration and tracking features are essential to events industry. Integrated CRM features are useful. Integrated email marketing features are limited, not feature-rich. The lack of ability to format texts in reports. Reporting each events schedule and unique quirks. Ungerboeck is extremely buggy. Constant changes in the way of adding events. The program can be very frustrating. Intuitive to use. New employees have no problems once they learn the basics. * We monitor all Ungerboeck for Conferences & Events reviews to prevent fraudulent reviews and keep review quality high. We do not post reviews by company employees or direct competitors. Validated reviews require the user to submit a screenshot of the product containing their user ID, in order to verify a user is an actual user of the product. Hi there! Are you looking to implement a solution like Ungerboeck for Conferences & Events?